The Mt. 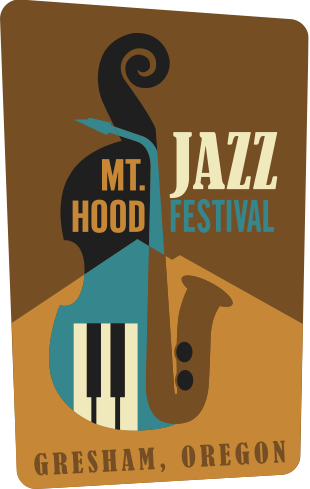 Hood Jazz Festival Returns! If this was announced anywhere, I sure didn’t see it. Regardless, the Mt. Hood Jazz Festival has been revived and will be appearing on two days. The first already took place last Monday night when the Patrick Lamb band appeared on the Plaza in downtown Gresham. Appearing with Patrick were George Mitchell, Tyrone Hendrix, Ben Jones and Tomo Matura. Part two is happening tomorrow night, August 4, at various venues in downtown Gresham. The fun runs from 6pm to 10 pm, so don’t miss it! Check the official festival web site here for details.